My ideal client is the professional that is looking to advance in their career and life be acknowledging that in order to succeed they have to transform themselves. Hi Yvette, I would like to speak with you briefly to see if you're a good fit to coach me. Please contact me at your earliest convenience. Yvette is an Adjunct Professor at National University at the Department of Professional Studies, College of Letters and Science teaching classes in Conflict Resolution and Communication. She also is an associate workshop facilitator for the Nonprofit Managerial Solution. 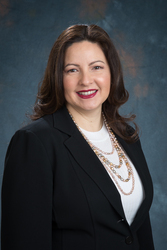 She developed her 15 years of professional experience while working for various San Diego County nonprofit organizations and teaching in the community. She is an active member of the Association for Conflict Resolution, International Coaching Federation and is founding chair of San Diego Chapter - Mediator Beyond Borders International. In her spear time, she enjoys being involved with the family, is passionate about healthy living and cooking, and practice Transcendental Meditation. Yvette’s academic background includes an M.A in Conflict Resolution, Negotiation, and Peacebuilding from California State Dominguez Hill; a B.A degree in International Business with emphasis in Latin American Studies from San Diego State University; an Associate Credential Coach (ACC) through the International Coaching Federation; a certificate in Mediator from the National Conflict Resolution Center; has taken two year Fundraising and Development at UCSD Extension. She is certified in various leadership modalities which included NLP, Appreciative Inquiry: Leveraging Strengths for Transformation. She has successfully coached and helped Professional, Executives and Managers to strengthen their organizations and their capabilities. Have you worked with Yvette? Tell your friends! Yvette doesn't have any reviews yet. Yvette hasn't submitted any articles.